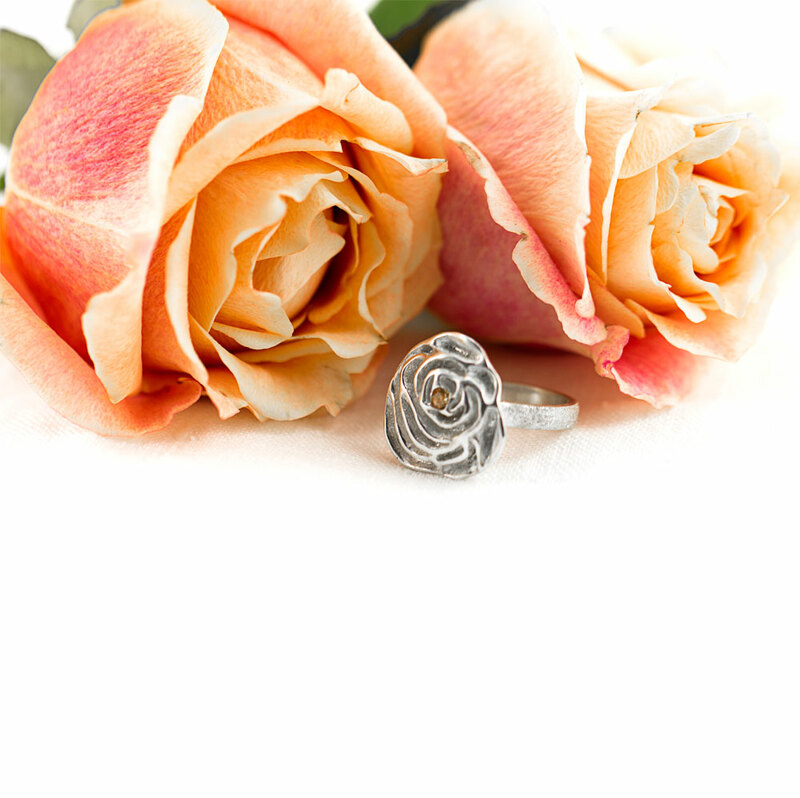 The My Sweet Rose Flower Ring is inspired by the rose for its many meanings pertaining to life, love, and passion. 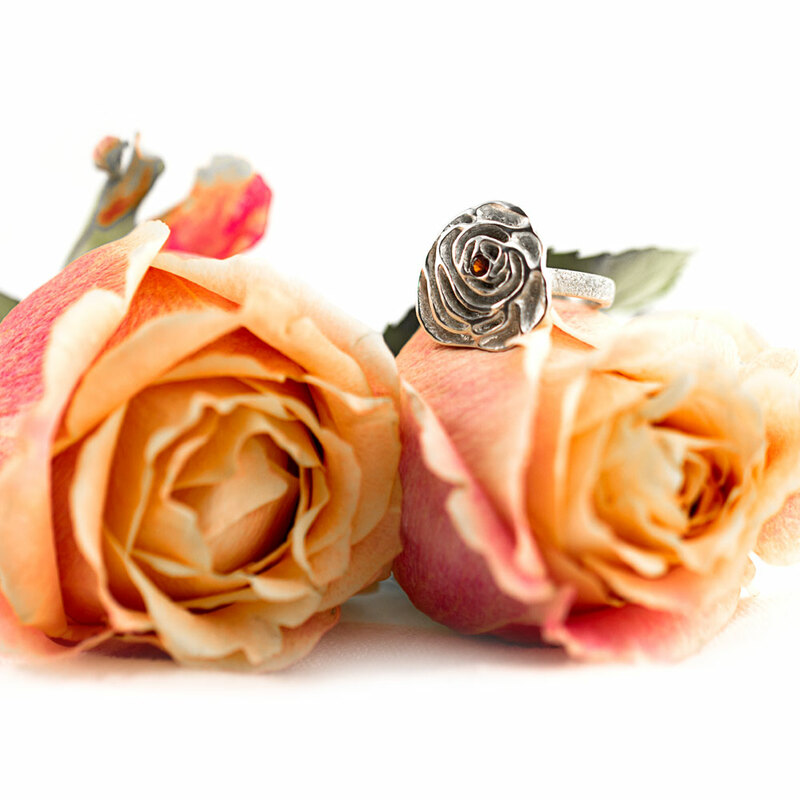 With a history dating back 35 million years, it’s no wonder the rose is steeped in history and myth! My favorite story regarding the rose is how Aphrodite caused them to be red. Upon seeing her true love Adonis mortally wounded she ran to him and in her haste scratched herself on the thorns of some roses, as her blood fell on the mythical white blooms they became stained, ever more to remain red. 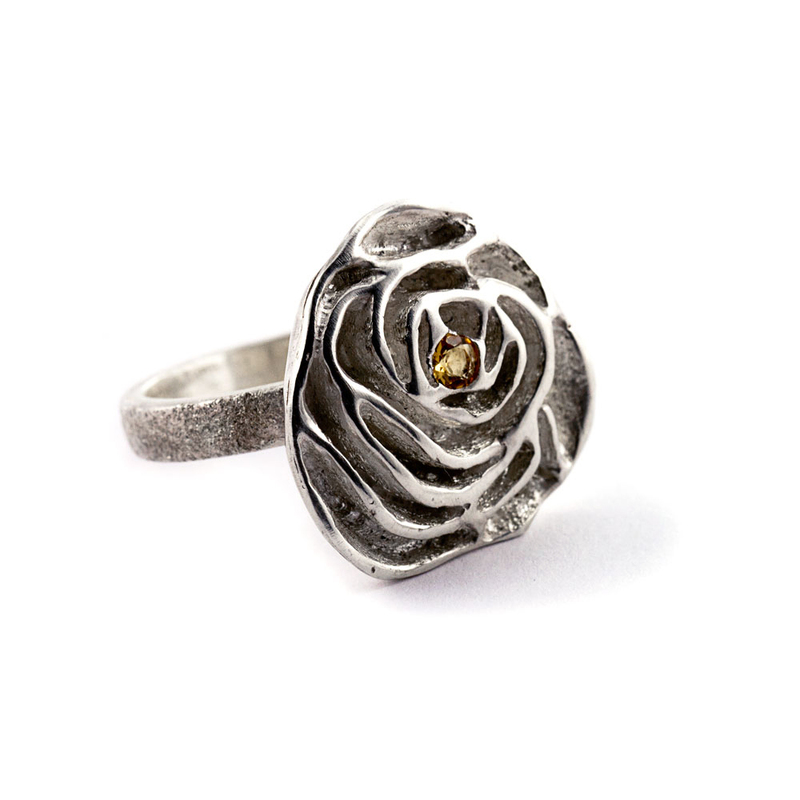 I designed the stylish My Sweet Rose Flower Ring to be a timeless, romantic and feminine piece suitable for any occasion. PLEASE NOTE: This ring is a made to order item. 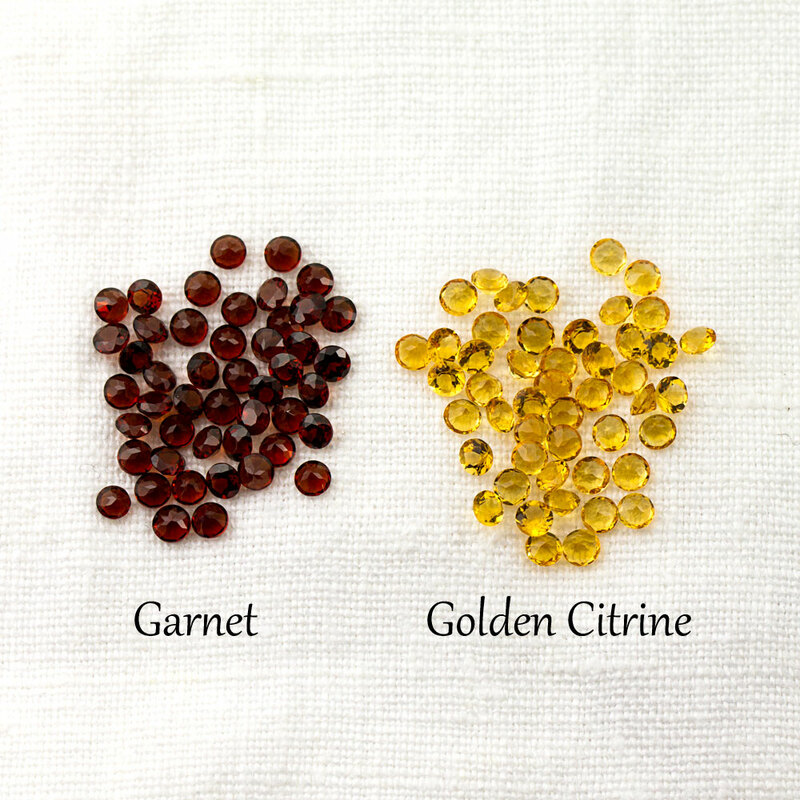 Please allow 1-2 weeks for production time. If you have a time-sensitive issue, please let me know in the comments. First, I made the My Sweet Rose Flower design using my own technique described here. 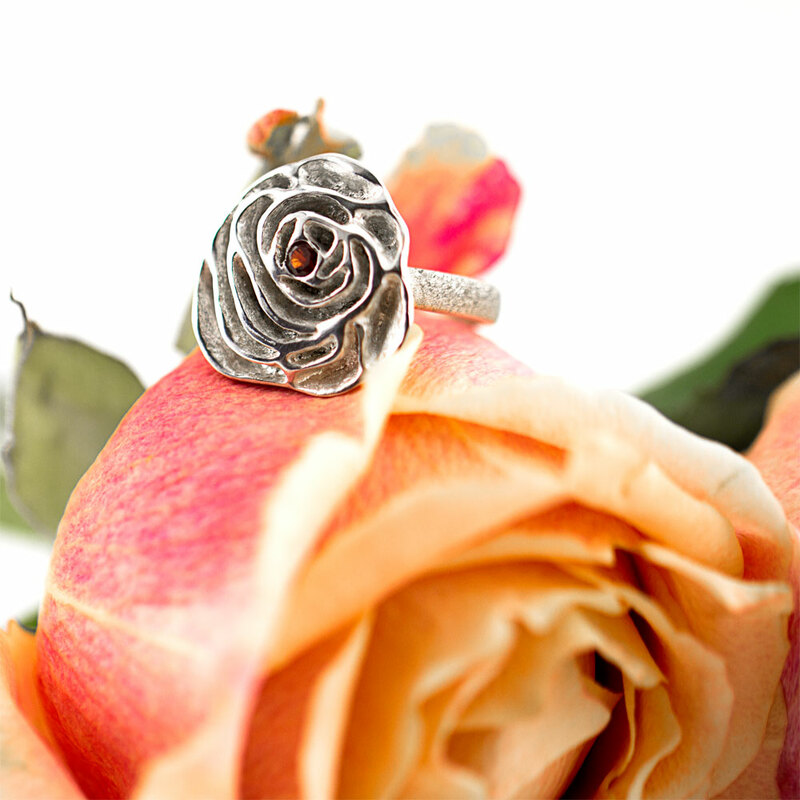 The design is lost wax cast and solid sterling silver. 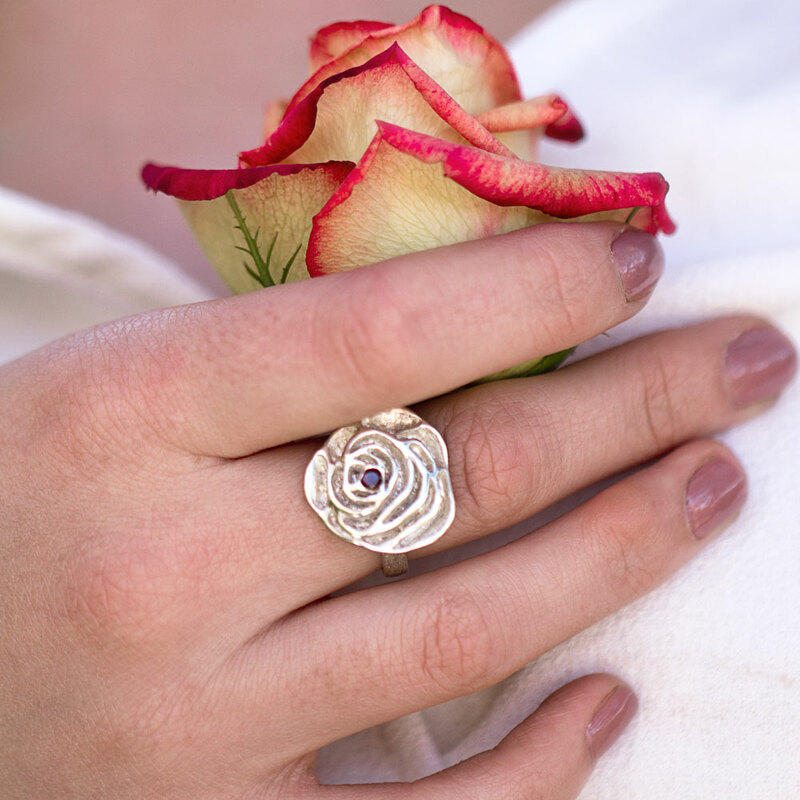 The beautiful rose has a highly textured internal finish that resembles stardust. The top of the rose petals is then polished for a nice contrast. I then soldered the design to an elegant and comfortable band using traditional metalsmith techniques. 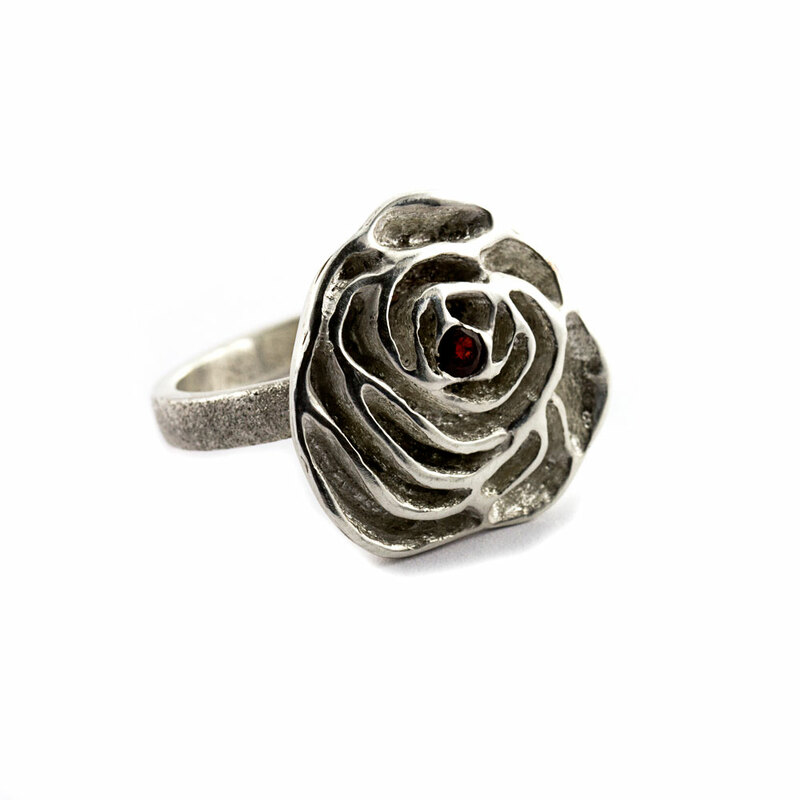 The band has the same textured finish as the inside of the rose flower for continuity of the design. 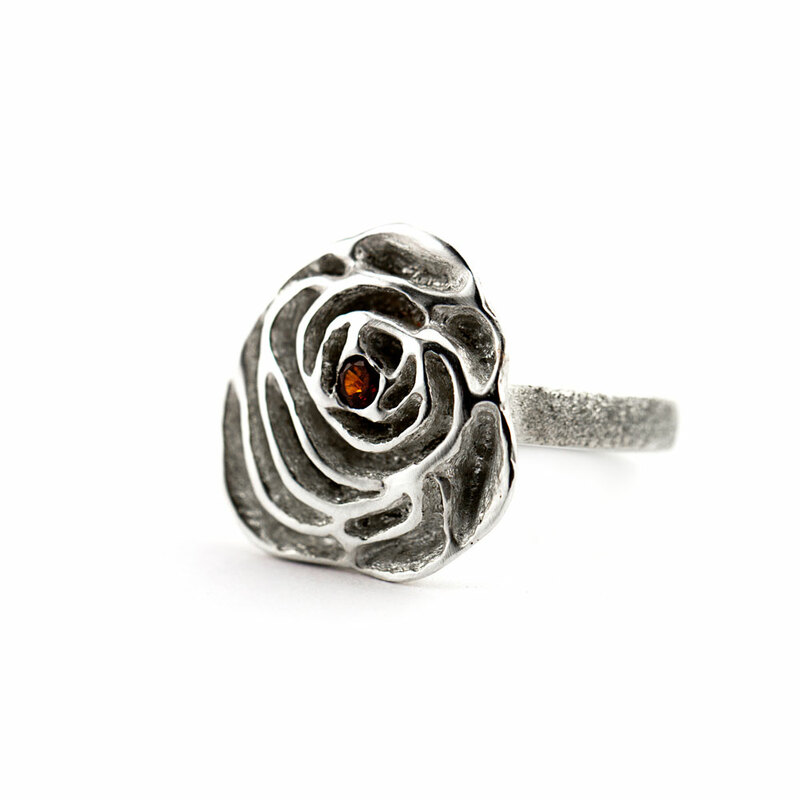 The back of the Rose and inside of the band has a beautiful satin finish. Finally, for a peek inside the studio and to see latest creations, follow us on these social media sites.